Scott Gold, M.D., one of New York’s premiere otolaryngologists and surgeons. He is a founder of the New York Sinus Center in Manhattan, NYC which specializes in sinus disease and minimally invasive endoscopic sinus surgery. 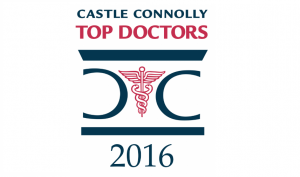 Dr. Gold has been recognized numerous times by New York magazine and Castle Connelly Medical LTD as one of the New York area’s leading otolaryngologists, sinus doctors ,and sinus surgeons. He is board certified by the American Board of Otolaryngology, Head and Neck Surgery. 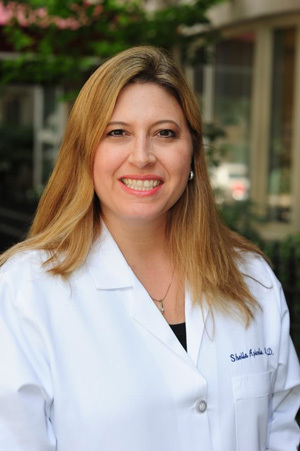 Dr. Gold is an attending physician at major NYC, New York teaching hospitals, including Beth Israel and Lenox Hill Hospital. Doctor Robert Pincus is a founder of the New York Sinus Center and one of Manhattan’s most highly regarded, board-certified otolaryngologists and sinus doctors. Dr. Pincus earned his medical degree from the University of Michigan Medical School. He completed his training at Lenox Hill Hospital and Mount Sinai Medical Center in NYC. In addition to his private practice work, Dr. Pincus is an Associate Professor in the Department of Otolaryngology at New York Medical College and a Lecturer at Mount Sinai School of Medicine. Earlier in his career, Dr. Pincus was Vice Chairman at New York Medical College, Director of the Department of Otolaryngology at New York’s Lincoln Medical and Mental Health Center, and Director of the Head and Neck Service at the New York Eye and Ear Infirmary. He has extensive sinus surgery teaching experience. Dr. Pincus has authored more than 40 articles and book chapters in the field of otolaryngology and shared his insights in presentations before dozens of prestigious professional organizations and medical staffs. He has frequently been recognized as one of metro New York’s leading otolaryngologists, sinus doctors, and surgeons by New York magazine, Castle Connelly Medical LTD, and Super Doctors. Lane Krevitt, MD is a board certified Otolaryngologist – Head and Neck Surgeon, who specializes in Head and Neck Oncology Surgery, including Thyroid and Parathyroid Surgery and Endoscopic Sinus Surgery. He is the director of Head & Neck Surgery, Thyroid and Parathyroid disease at the New York Otolaryngology group. He received his undergraduate degree at Tufts University outside of Boston and his medical degree from Hahnemann University School of Medicine in Philadelphia- Drexel University Medical School. He completed his Internship in General Surgery and Residency training in Otolaryngology – Head and Neck Surgery at Albert Einstein College of Medicine/Montefiore Medical Center in New York City. Dr. Krevitt also completed a Fellowship in Head and Neck Oncology and Endocrine Surgery (Thyroid and Parathyroid) at Montefiore Medical Center, under the direction of Carl Silver, M.D., pioneer in the field of Head & Neck Endocrine, Oncology, and Laryngeal Surgery. Dr. Krevitt is certified by the American Board of Otolaryngology-Head and Neck Surgery. He is a Fellow of the American Academy of Otolaryngolgy- Head and Neck Surgery. 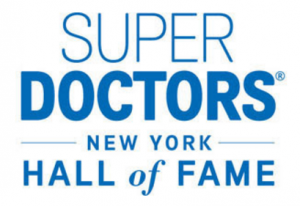 Dr. Krevitt has once again been named a New York Super Doctor for 2014. This will be featured on Sunday, May 18, 2014 in The New York Times Magazine. 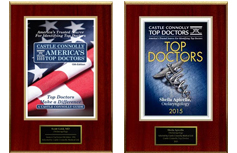 Dr. Sheila Apicella received her undergraduate degree at Barnard College in New York City. She then earned her medical degree from New York University School of Medicine. After a pre-residency fellowship in Otolaryngology-Head and Neck Surgery at St. Luke’s/Roosevelt Hospital in New York, Dr. Apicella continued her post-graduate training at SUNY-Stony Brook. She completed her residency at the University of Pittsburgh Eye and Ear Institute (recently ranked one of the top five programs in the country by U.S. News & World Report magazine). Board certified in Otolaryngology-Head and Neck Surgery, Dr. Apicella focuses on minimally invasive endoscopic sinus surgery, management of sinus disease, head and neck surgery, sleep-disordered breathing, diseases of the ear and pediatric otolaryngology. She is an Assistant Attending physician at several New York City hospitals including Beth Israel Medical Center. She is also an Associate Attending at St. Barnabas Hospital in the Bronx where she is involved in the education of students and residents.